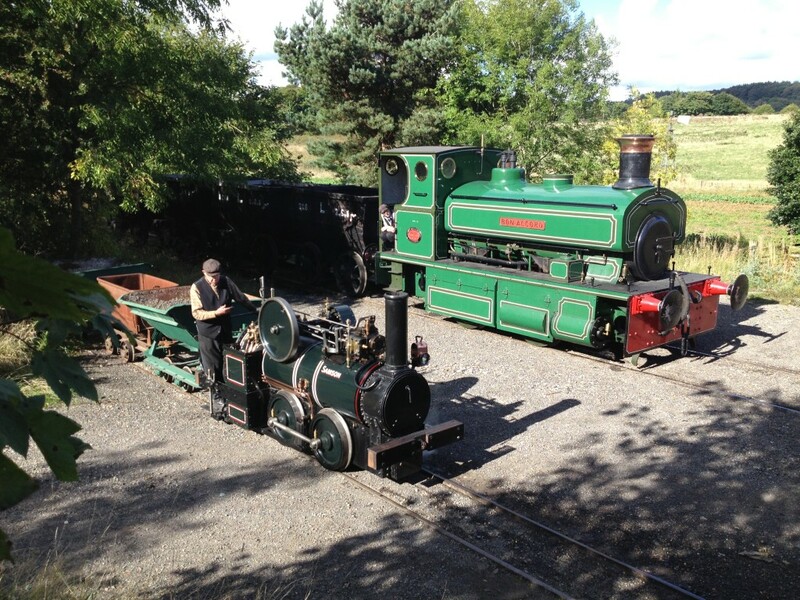 This week’s post is something of a scrapbook, covering some workshop and site works as well as last weekends Power from the Past enhanced transport activity. 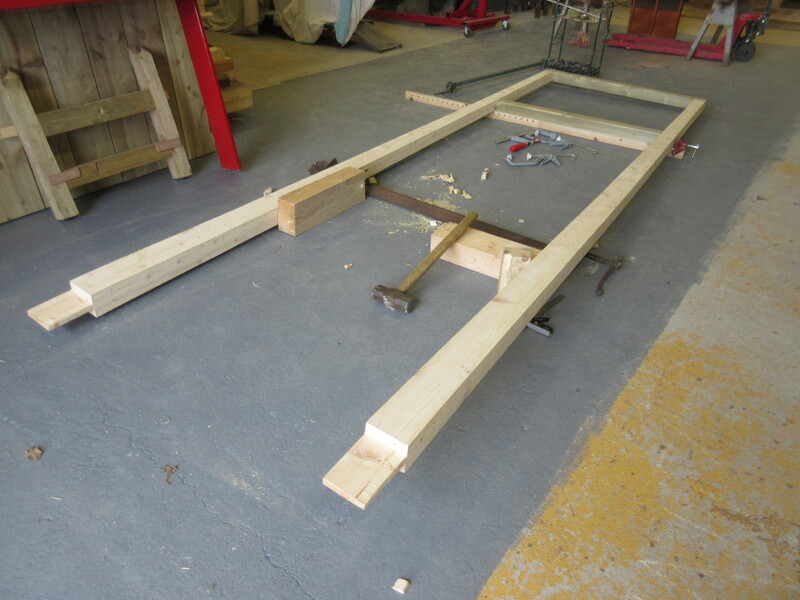 Below: Tony and Matt B have the construction of the new level crossing gates for Rowley well in hand – one gate is seen here being dry-assembled. 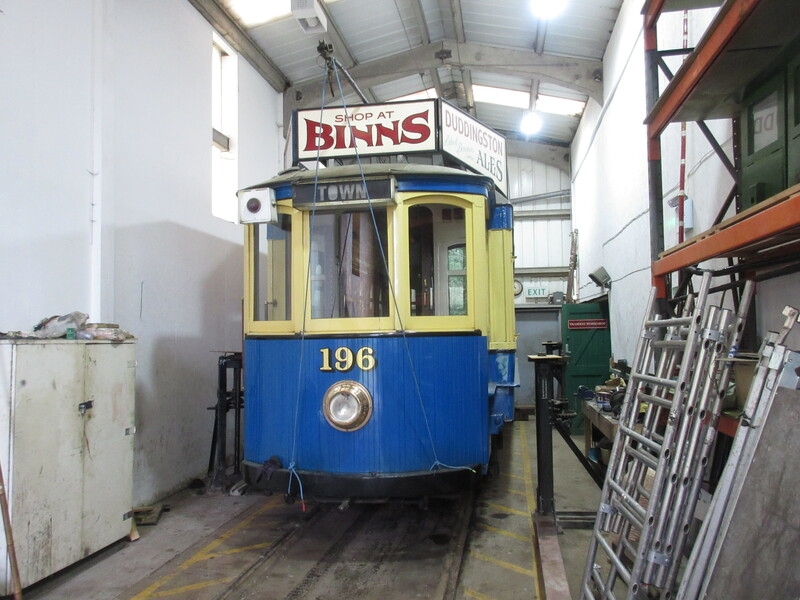 Below: Oporto 196 is receiving a rapid tyre-turning and motor overhaul, the aim being to return it to service in time for the Christmas festival operations. 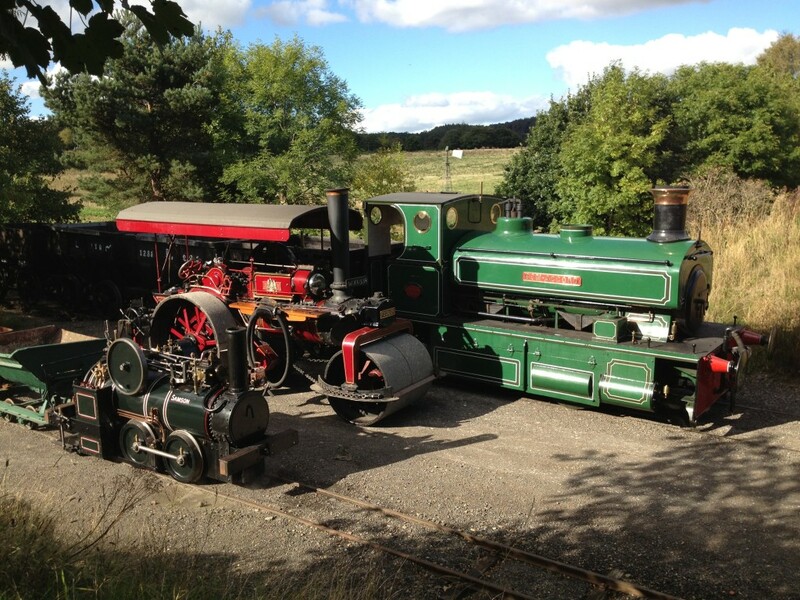 The tram was lifted and the truck removed then broken down in the space of a day, with the motors departing for contract repairs, the wheelsets for tyre reprofiling and the truck remaining at Beamish for sundry works including attention to the springing arrangements. 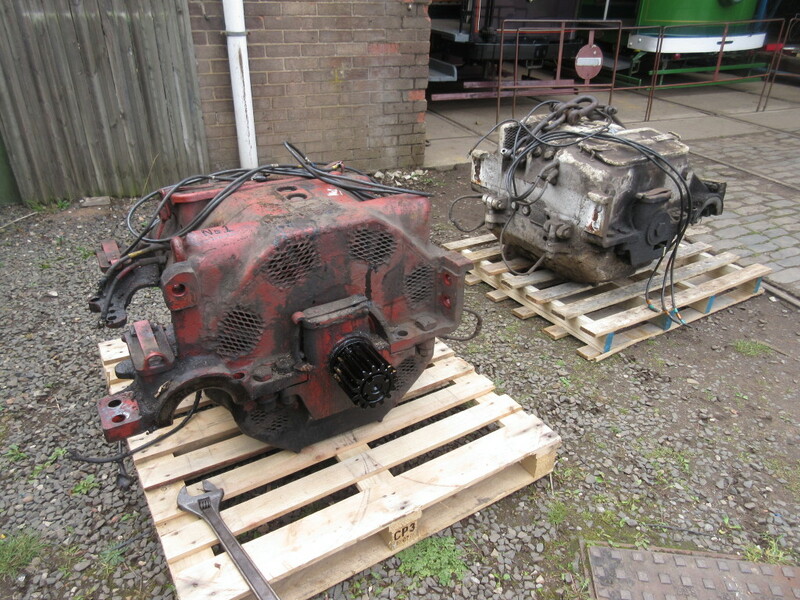 Below: 196 is seen as it was being prepared for the body lift in order to liberate the truck. 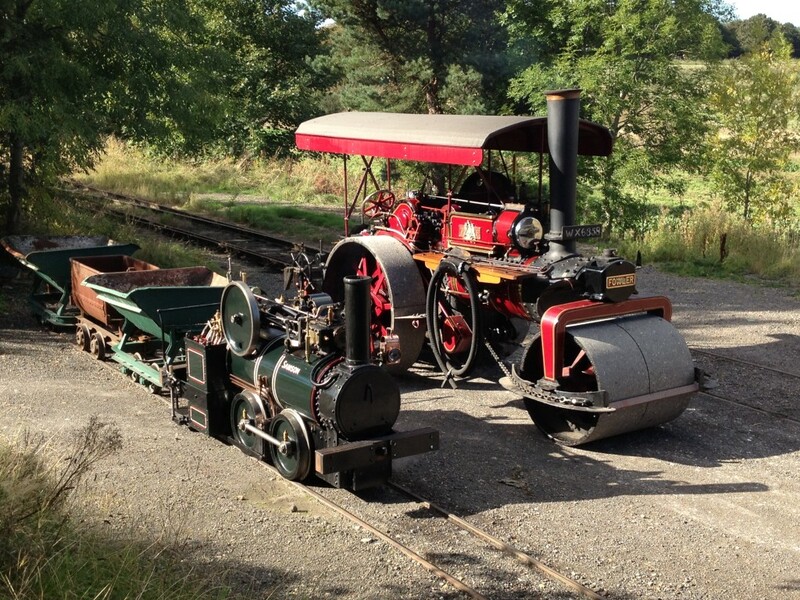 We will feature a post on the tramcar mileages fairly soon – their increase over the last five years is quite astonishing! 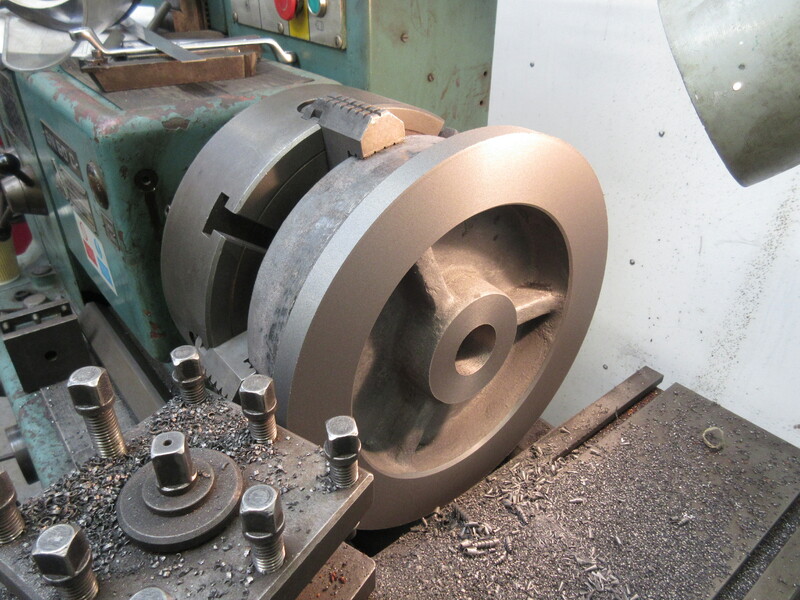 Below: In the machine shop David Young has begun turning the wheels for Samson’s tender. 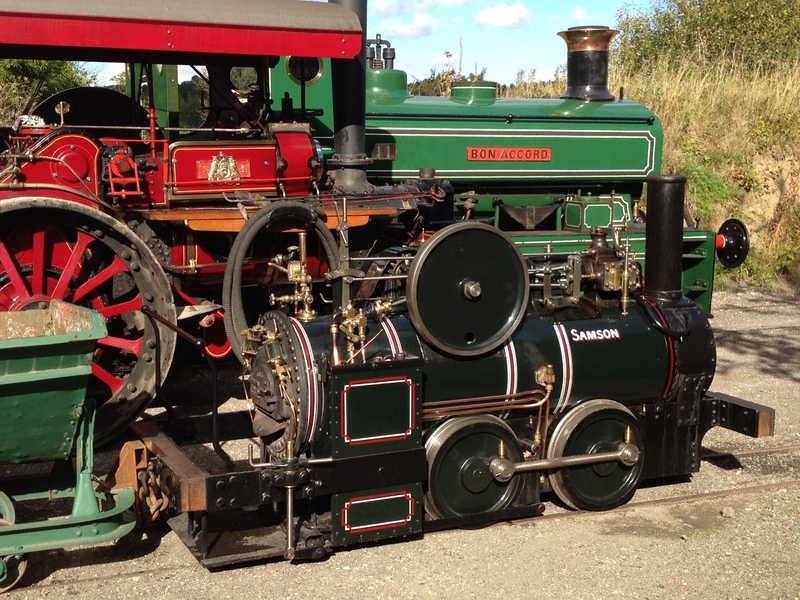 These will rotate on ball races on the fixed axles, following the Horwich practice, with a few modifications. 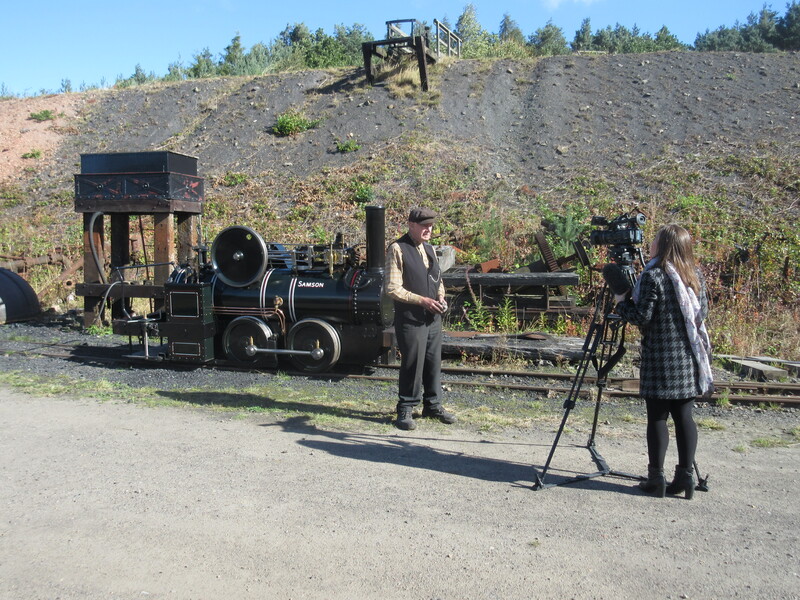 Below: Last Thursday there was very good press coverage for the launch of Samson – Dave is seen here being interviewed by Tyne-Tees television. 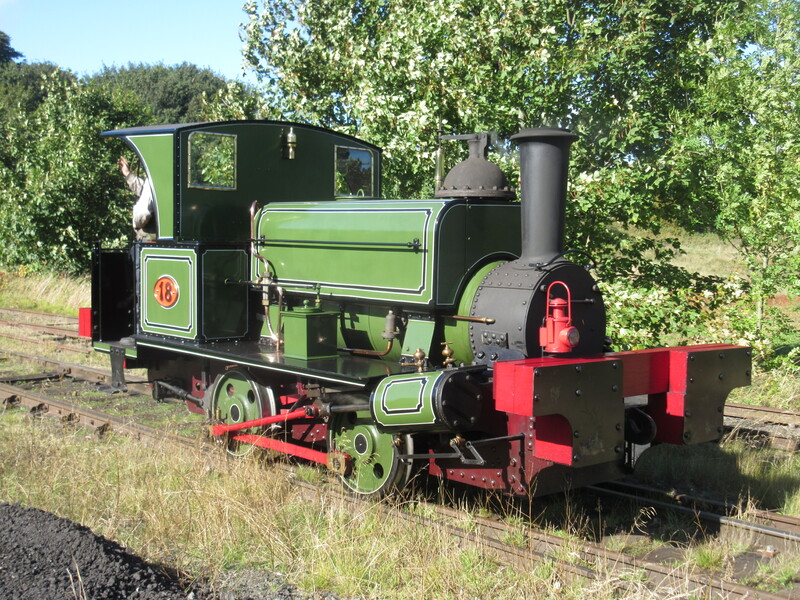 There was also national press coverage of the project and we saw a lot of interest as a result during the subsequent weekend operation of the locomotive. 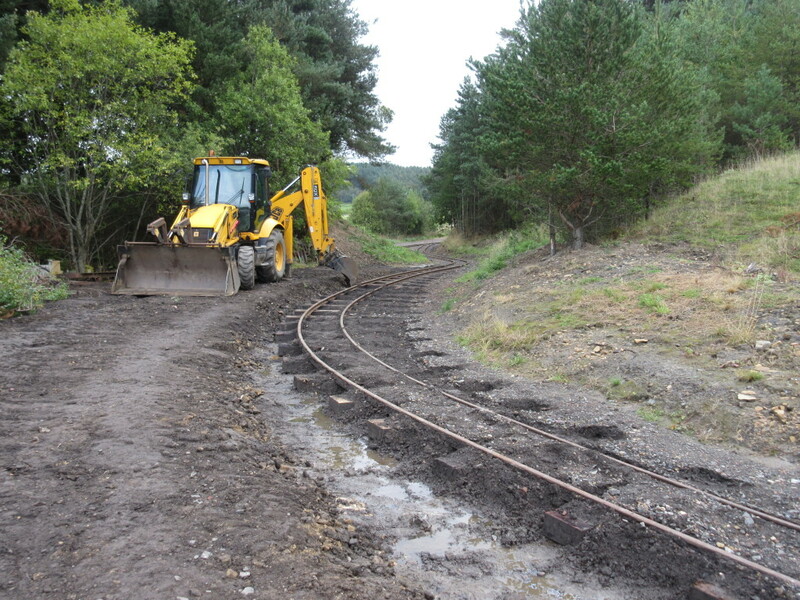 Below: The track team have re-aligned the curve on the newest leg of the triangle to remove the kink and give a continuous radius throughout this piece of track, which is now much improved in terms of running. 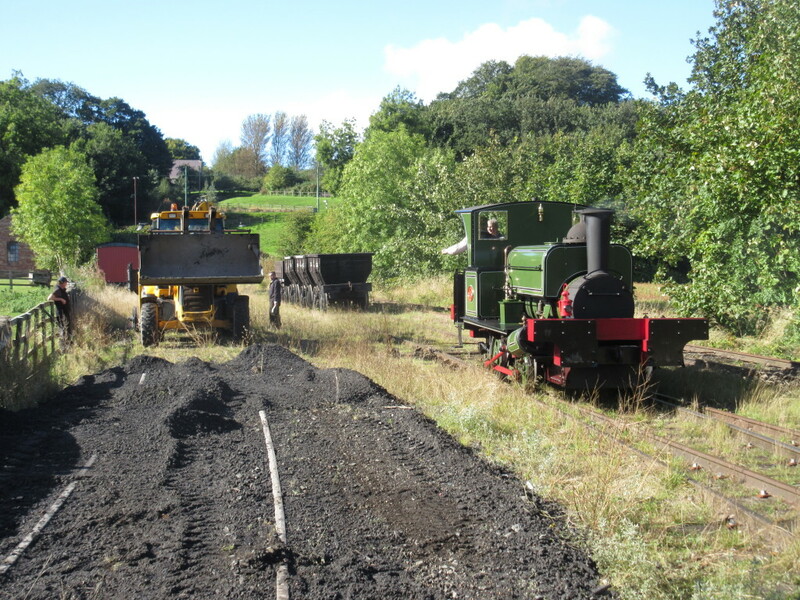 The area to the left is likely to be used for storing large objects displaced from elsewhere on site and I am keen that this adds to the Colliery railway ambience rather than detracts. 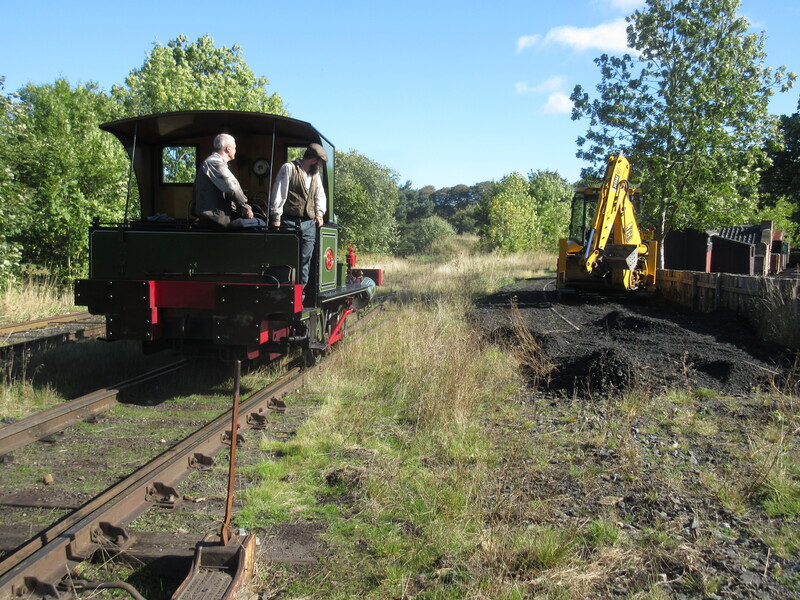 Below: Routine work also continues – here the accumulation of ash from the cottages in Francis Street is removed, some into the tipping waggon for use elsewhere, the rest to spread and blacken the track in the exchange siding area. No.18 watches the work. Below: The mix up of dates (my fault!) 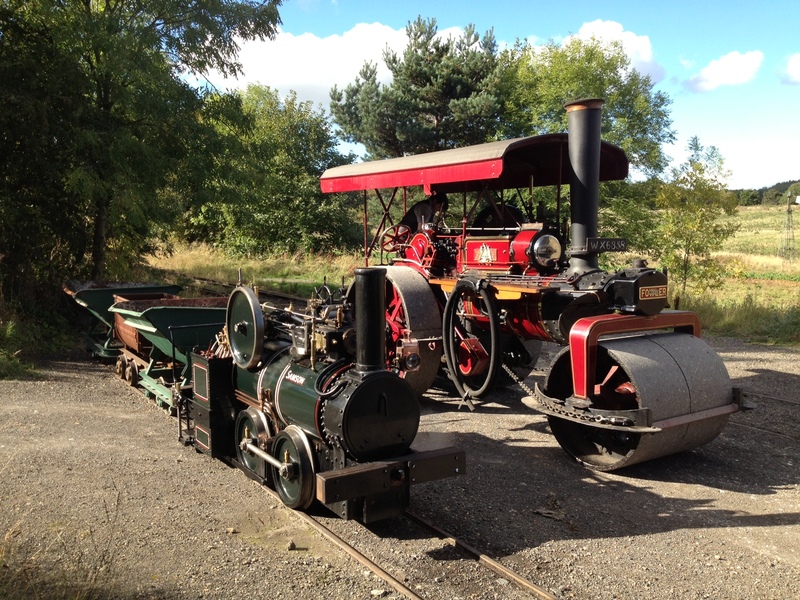 meant that we have effectively advertised two PftP weekends – this weekend gone was the real one, but there will be additional transport next weekend for anyone who didn’t see the blog updates! 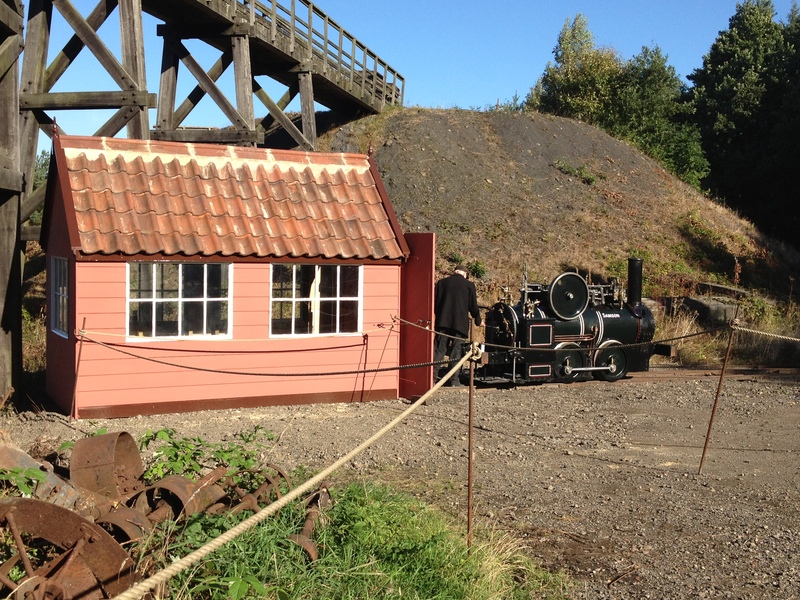 We start this short gallery with a view of Samson outside its new shed. I am considering the fencing in this area plus some other features to add to the appeal of the historical view here – which is rather enhanced here by the autumn sunlight. 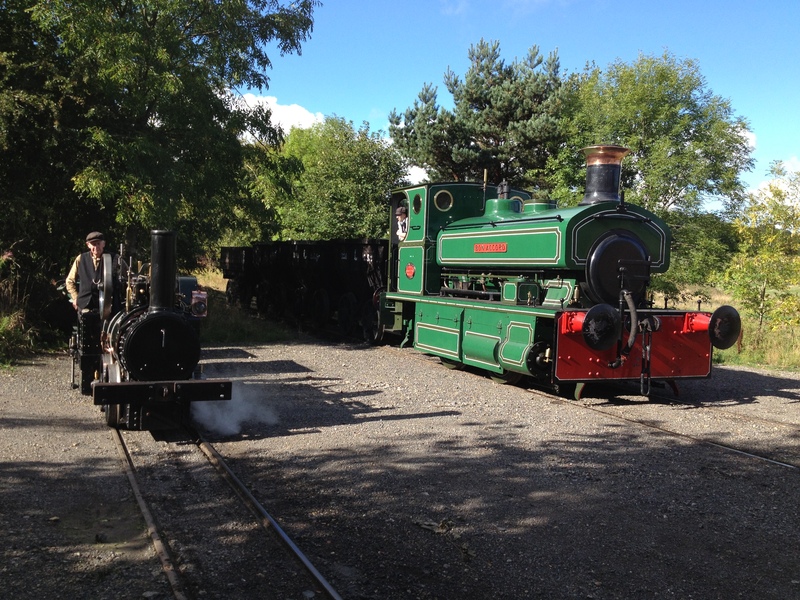 Below: We close with a short film of Samson returning to its shed. There is some modification to be made to the Jubilee track in this area in order to ease the back-to-back clearances through the check rails – Samson became well and truly jammed on a number of occasions, usually coinciding with it settling on its centres just to add to the difficulty! 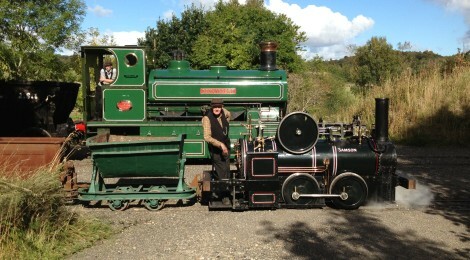 Fantastic pictures and news; but have the two Lewins not yet been seen together?! 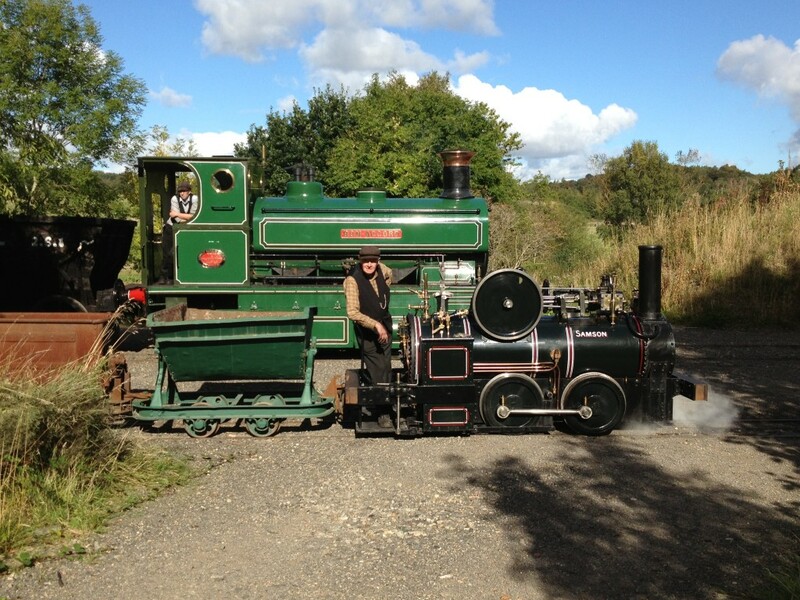 Hi Paul what weekend Andrew Barclay Bon Accord and Samson be runnig next?